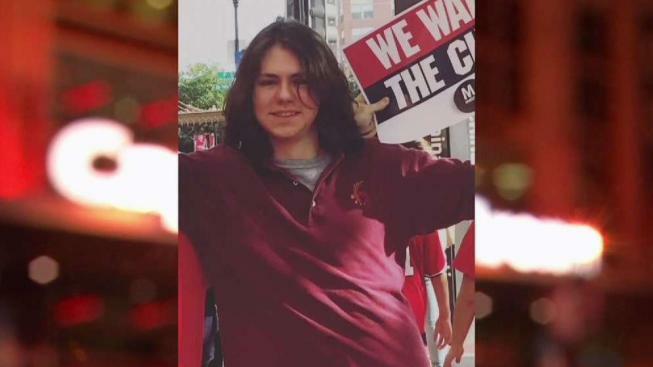 A family in northern Virginia is desperately searching for their 19-year-old son who disappeared after attending a concert in Washington, D.C.
Raymond McGavin of Springfield, Virginia, was last seen Sunday leaving the U2 Concert at Capital One Arena. His family says he went to catch the Metro, but missed the last train to Springfield. He texted a friend at 11:32 p.m. to say he had "found a way home." No one has heard from him since. “We can’t even begin the search until we know where he was last located,” said his mother, Annemarie McGavin. There has been no activity on his phone or bank accounts. McGavin is 6-feet-4-inches tall and weighs 175 pounds. He has brown eyes and brown hair. He was last seen wearing gray shirt, dark gray jeans and brown dress shoes. McGavin graduated from Gonzaga College High School last year and will be attending the College of William & Mary in the fall. “He’s a great person, and we miss him and we want him to come home,” his father said. McGavin plays guitar in a local band called Civic Duty. “Very smart, very creative, he’s kind of an intellectual, but he’s also very funny, has a wry sense of humor,” his father said. The Fairfax County Police Department says the case is under investigation. Anyone with information is asked to call 703-922-0889.